He was born in Beylegan region in 1967, October the 5th. And after finishing school #1 in Beylegan region, he started working as a photographer in 1984. He was enlisted in the army in 1985 and after completing his military service nearby Moscow, returned to his Motherland in 1987. When Garabagh conflict started in 1988, Namig became very anxious and disturbed about the situation within his country. And later on the conflict turned into a brutal battlefield and war. People from different regions and towns started establishing volunteer based units and joining them in order to protect their motherland from vicious Armenian attacks. Thus, Namiq also was one of the first ones whowere enlisted into one of this volunteer based unites in order to fight the enemy and to protect what is rightfully ours. He was recruited into the Specially Appointed Police Unit within the Ministry of Internal Affairs in 1991, August the 31st. 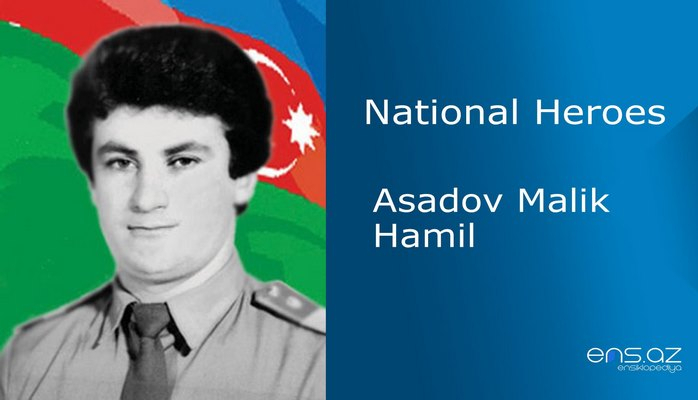 Namiq was one of the active fighters of the defense of Shusha. 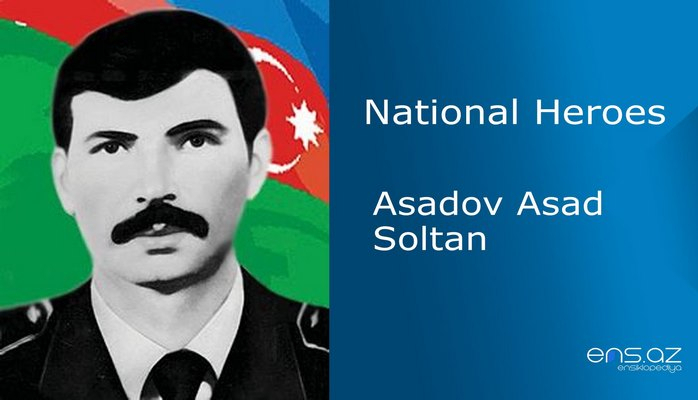 Our brave fighter was not just taking active parts in the battle taking place around Lachin, Asgeran, Fuzuli, Goranboy, but he was also taking active part in the releasing of many captiveAzeri peoplefrom the vicious enemy’s hands. Terter region was the place of his last battle....... 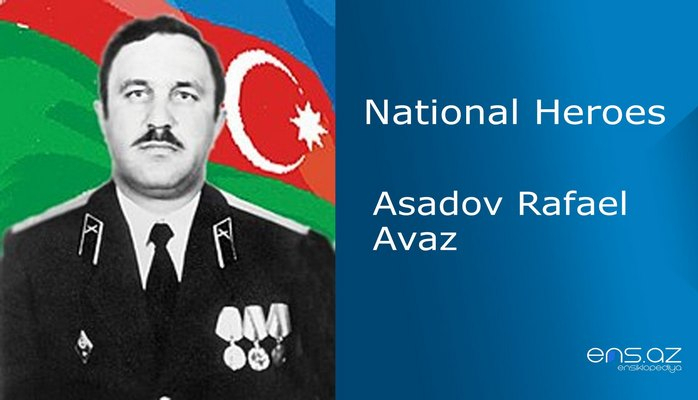 The victory and remarkable achievements of the Azerbaijani Army scattered our enemy. The villages of Marqushevan, Hassanqaya, Malalan, the First and the Second Chayli were already freed from enemy’s invasion. 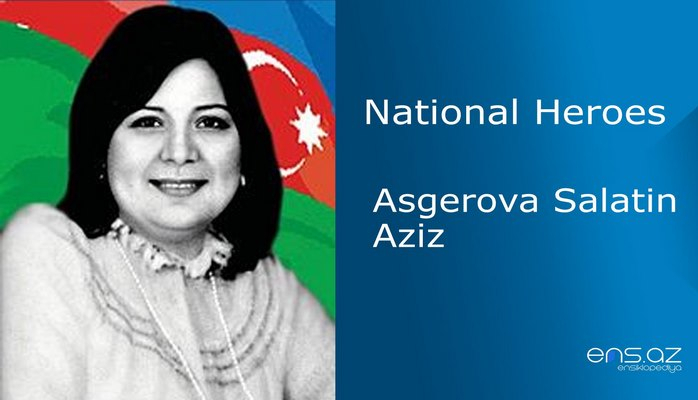 On 9th of July, 1992, Armenian forces started attacking the Upper Jemilli. Namiq, along with his battle friends climbed up the hill and took positions there in order to forestall the enemy. At this very time, a huge explosion was heard. The missile from one of the enemy tank put an end of Namiq’s life. 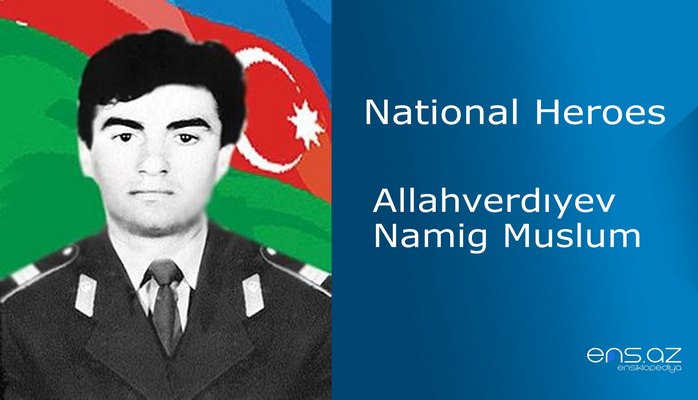 Allahverdiyev Namik Muslum was posthumously awarded the title of "National Hero of Azerbaijan" by the decree # 264 of the president of the Azerbaijan Republic dated 8 October 1992. He was buried in the Martyrs Alley in Baki. The school #1 in Beylegan region is after his name. And his statue was put in the center of the region to always remember and honor him.